Wilhelm Meyer built invalid carriages for disabled war veterans. 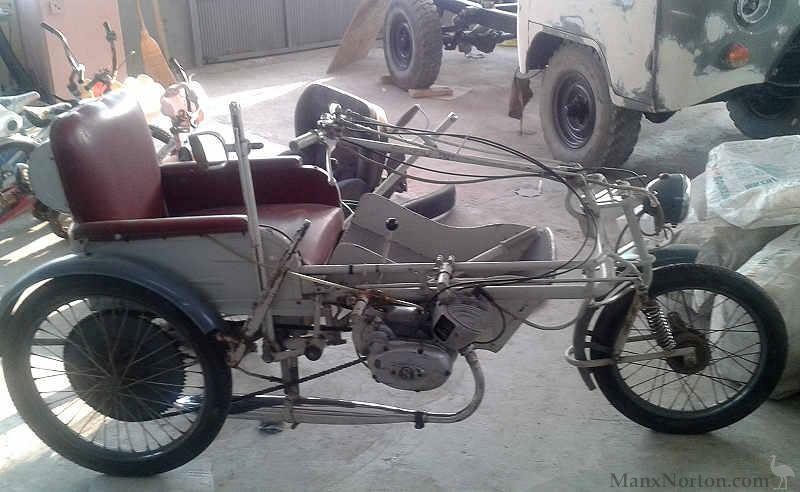 In addition to electric machines, there was a variety of quite attractive tricycles powered by two-stroke engines of 50cc to 250cc, mostly by JLO and Fichtel & Sachs, at least one model with a Kurchen engine (probably a four-stroke), and one source mentions DKW. 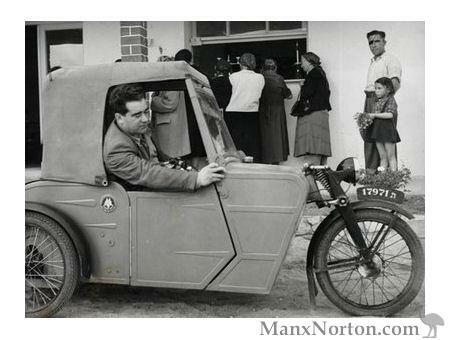 There was also a 4 seater of which but a few were built, and a 2 door sports machine which did not enter production. Sources: Factory Literature, mo-ped.se, carsablanca.de, JF, correspondence. If there's any way you can help me get more info about this model (pictures, drawings, literature, anything) I would be mostly grateful! !